The exhibit is the culmination of interviews held from November 12 to 14. Members, upon entering the lobby, were invited to share their Y story with a staff interviewer in a “story booth,” built out of a large gym mat. 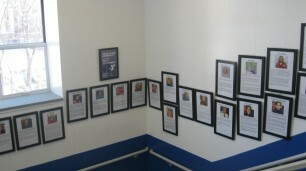 The exhibit reflects the diversity of the Y’s membership and the impact the Y has had on many of its members. 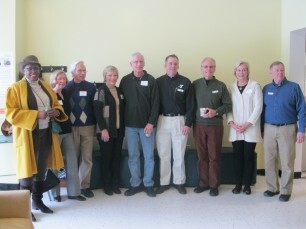 Rye Y Story Project participants gather at a reception at the Y. Members are invited to share their stories with Y staff at any time. Stories may be about their current Y experience or a child’s experience at summer camp or other Y program. As part of its Centennial celebration, the Y is also seeking historical stories from members. For more information or to make an appointment, contact Lisa Tidball at lisatidball@ryeymca.org or 967-6363, ext. 130 or Denise Woodin at denisewoodin@ryeymca.org or 967-6363, ext. 101.